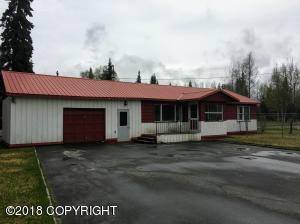 DESCRIPTION: Centrally located in Kenai. Paved driveway, fenced yard with apple trees. DRIVING DIRECTIONS: At mile 9.1 of the Kenai Spur Hwy turn onto Dolly Varden St. Turn left onto paved driveway to home.